My Card Attic: Let's Be Negative . 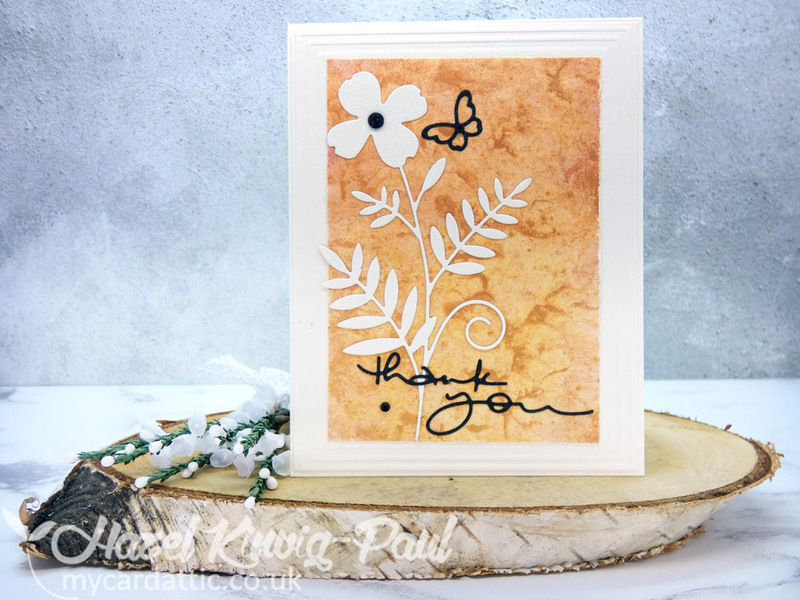 . .
Today, whilst using another pre-made panel, I cut out a flower die from a panel of cream coloured card-stock to use, and decided to use the negative as well as the positive. First, I added some extra interest by just stamping with my small stamp pad all over the front (later I regretted it, because I felt that the chosen ink was too dark and dominated the piece, but I was committed by then) and I mounted the negative panel with foam tape on to a cream coloured base card to which I had adhered a black layer in order to show through the negative space. 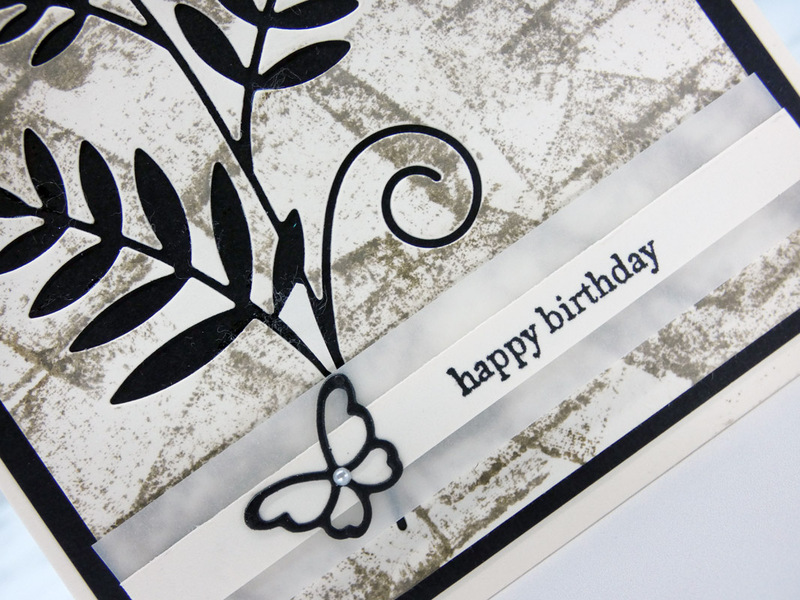 Next, I die cut the butterfly from the same black card-stock as the layering panel. I stamped a sentiment on a strip of cream coloured card-stock and adhered that to a strip of vellum and mounted the whole strip to the front of the card with foam tape, adhered the butterfly and some pearls and called it done. 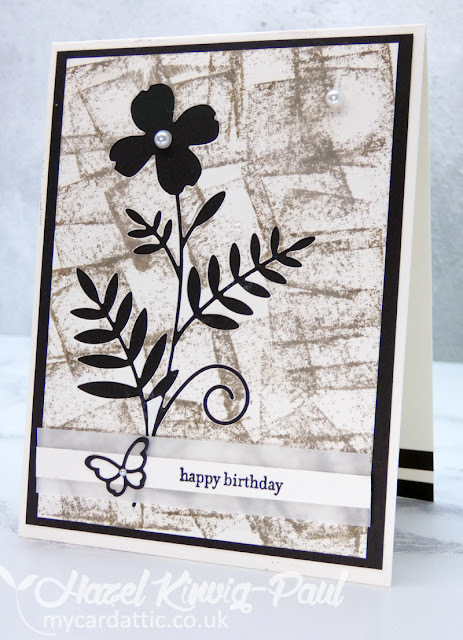 Next, I adhered the pre-made smooshed watercolour panel to a cream card base that I had embossed with a frame embossing folder and cut a sentiment and another small butterfly from black card-stock and adhered all die cuts to the panel, added some black gems and this is the positive card. 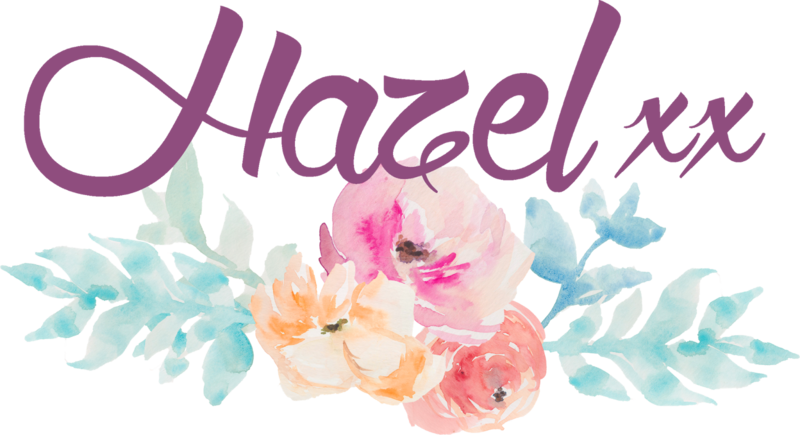 Hazel, wow way to use all your bits and pieces. I do love the negative piece. I don't think it is too dark at all it looks fabulous. Your positive piece along with the black accents is fabulous as well. Have a great day! 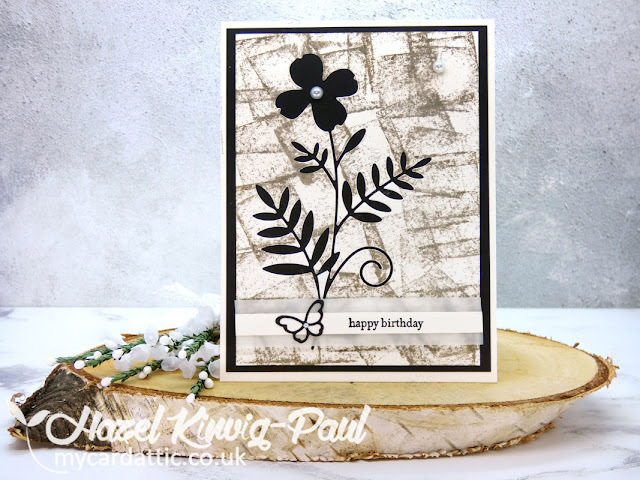 I absolutely adore both of your cards Hazel, love them. I think you rocked them both, Hazel! Each card has its own beauty. 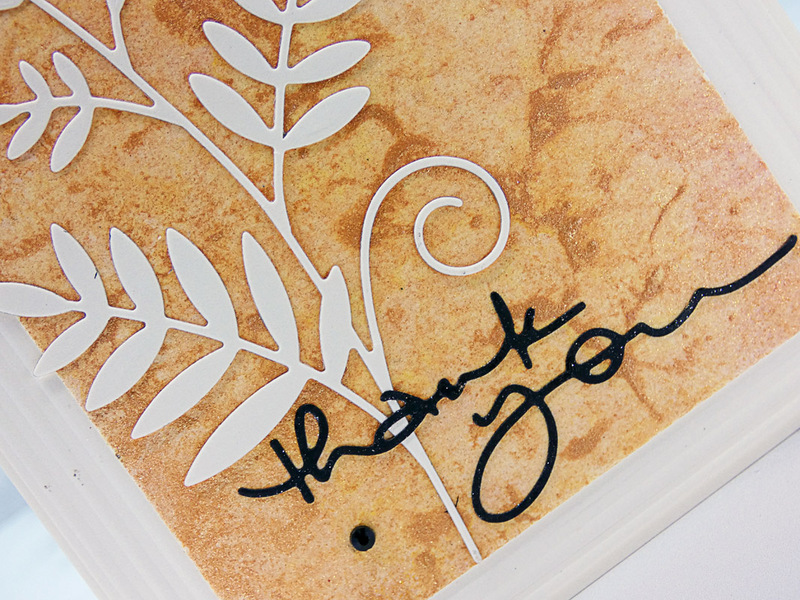 Thanks for reminding us to think about using both negative and positive cuts when we're die-cutting. It definitely makes sense to make two cards at once. Enjoy your weekend. 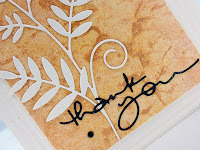 I love the look you got with the small inkpad on the cardstock! What wonderful movement! 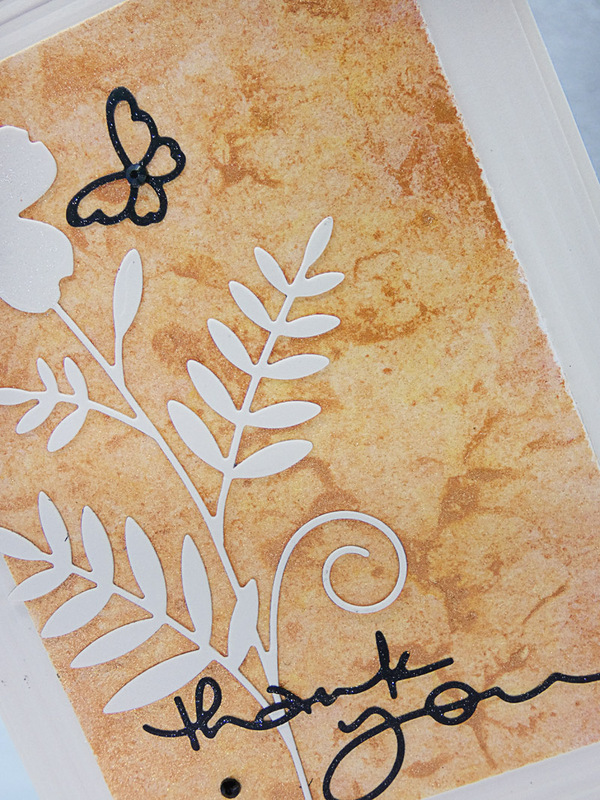 And the white die cut is so pretty on the beige watercolor background! Two fabulous cards, my friend! Both cards are pure perfection! I love the inkpad and the smooshed background. They both look really natural to me, in the colors and textures. Have a lovely day! What a great idea! You got two fabulous cards that look very different! 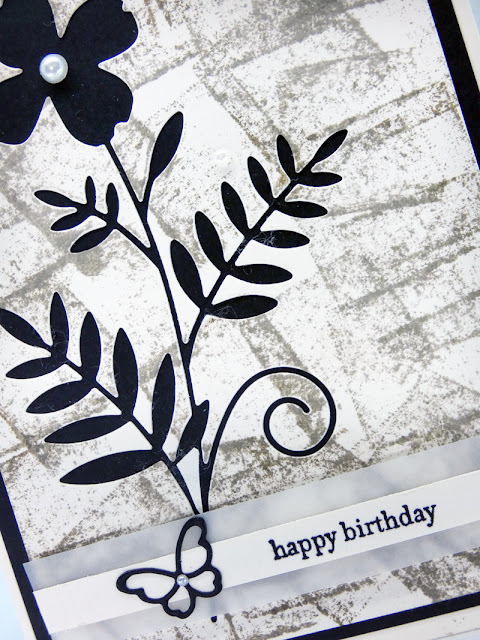 Love the background you created with the ink pad! 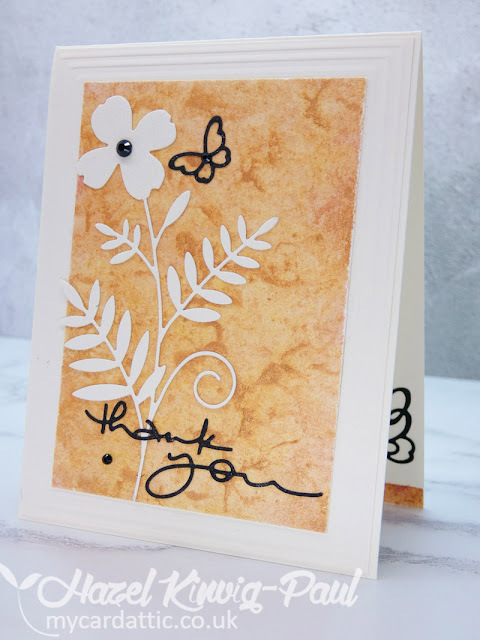 The second card is so beautifully framed and the finishing touches on both are lovely! I remember seeing these ages ago and thinking how much I loved them.